Chinese’ new year is upon us! In Nankin (China) on the Purple Mountain observatory, the date was set on February the 5th based on the lunisolar calendar. The year of the pig is fast approaching and calls for a proper celebration. If you have never heard of this celebration, then it is the perfect occasion to get to know this fabulous tradition within our capital. However, where to start? What are the best places in Paris to enjoy and celebrate the Chinese’ New Year? Get excited for two weeks of celebration with our best addresses! 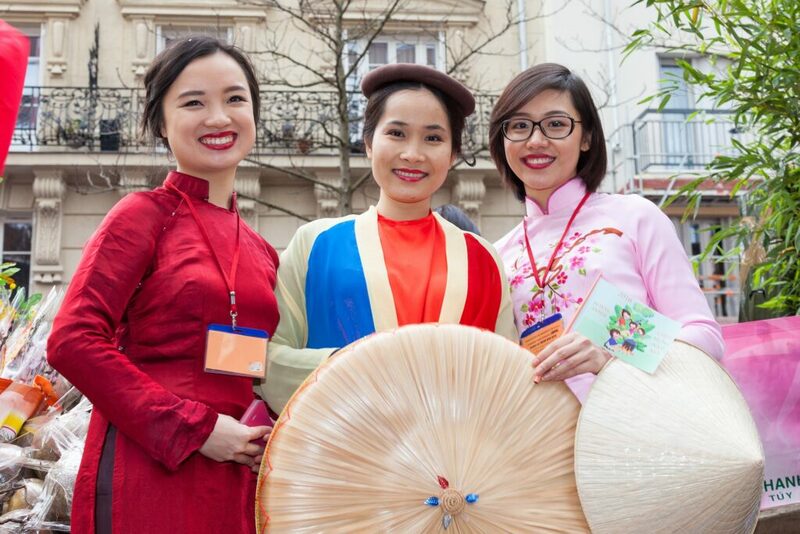 The Chinese New Year is the time for grand parades like you have never seen before in Paris. It begins on February 4th and ends on the 17th of the same month. Of course there will be parades, but there will also be several activities to discover this wonderful culture and see beyond our stereotypes. The 13th arrondissement, the official Chinese district, will host the festivities and the now famous parade on February 17th. But that’s not all – there will be exhibitions, concerts and performances throughout this period to dazzle you. There are also celebrations in other arrondissements of Paris. For example, the parade will be in the Marais on the 10th, and in the 3rd arrondissement there will be music, storytelling, origami workshops (all children-friendly activities) and martial arts, from the 4th to the 10th. Belleville, famous for being a Chinese-friendly district, will also host celebrations. However, at the time of writing this, the hip quartier still hasn’t released any details except the date of the Dragon parade, set on the 17th as well. Now, it is also the time to try the best Chinese restaurants in Paris. Some of the bests are in the 16th arrondissement, such as LiLi, in the Peninsula Hotel, with its décor paying tribute to the Chinese opera. The Shangri La Hotel’s restaurant, the Shang palace, will have a special menu for the week (from the 2nd to the 8th of February), and make sure not to miss the dance of the lions in the hotel to get rid of evil spirits before supper on the 5th! Now you know, the celebrations of the Chinese New Year take place a bit all over Paris, so depending on your favourite arrondissements, you may choose where to spend it and make sure to live the cultural experience you are looking for. Interested in the most local side of Paris? Follow a real Parisian and get to know the best of hidden, local Paris with our Paris Local Experience tour! This entry was posted in Paris Lifestyle & Culture. Bookmark the permalink.